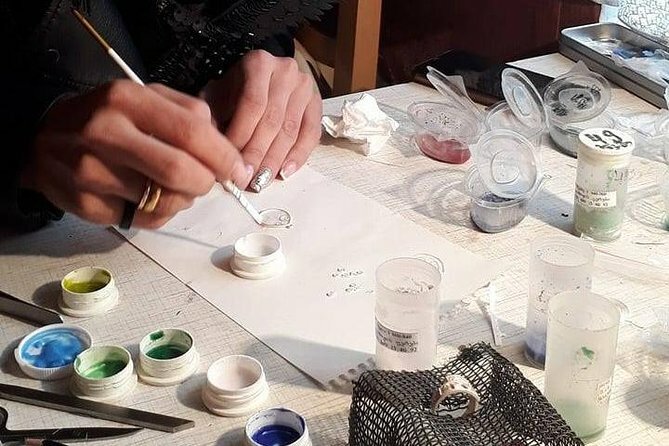 The Minankari enamel is an ancient Georgian technique of jewelry making, which became a part of Georgian culture. Every piece is handmade with love for details. The silver pendants, earrings and bracelet often feature tradtional patterns, motives from legends and history and are also used for the most sacred objects of Georgian culture - the icons. In our workshop we will visit a professional Minankari maker, who will explain to you the history and process of making this jewelry. She will show you how she is working and you can also try it out! You have the chance to design your own silver pendant - either oval or cross shape, that you can take with you as a souvenir! The workshop takes about 4 hours and the pendant has to be torch-fired afterwards, so that it will be ready the next day after the workshop. Minimum age is 16 y.o.